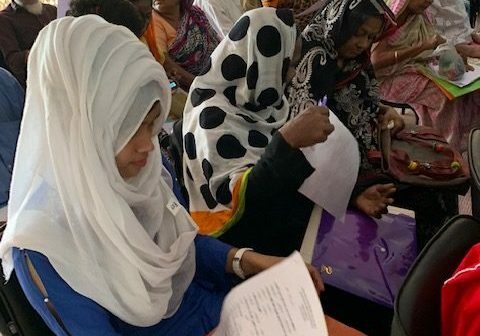 Hospice Bangladesh has teamed up with the Garo Baptist Convention- Christian Health Project (GBC-CHP) to provide palliative care training for health care professionals. 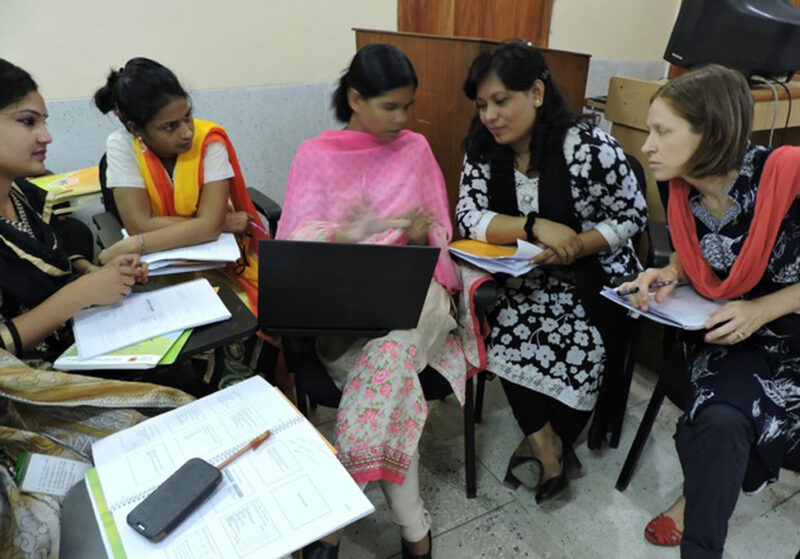 The training took place in Joyramkura, a village on the north eastern border of Bangladesh. The Garo Baptist Convention- Christian Health Project (GBC-CHP) is a project of Garo Baptist Convention (GBC). 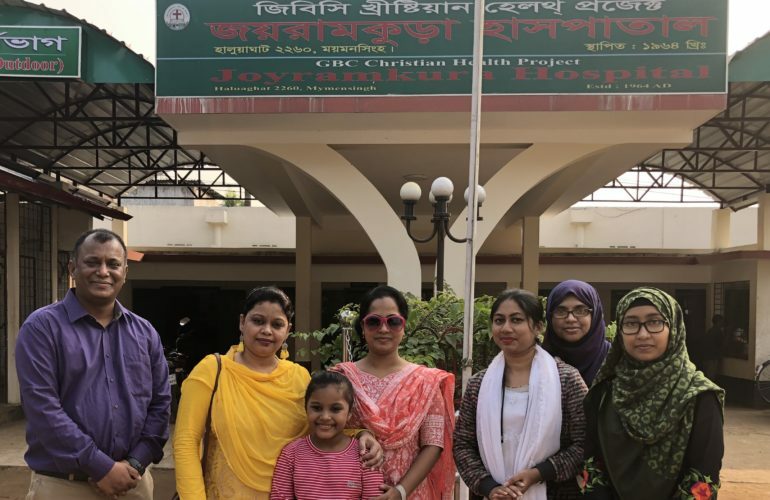 GBC conducts health care and development activities for the underprivileged communities living along the north-eastern boarder of Bangladesh. It was mainly supported by the Australian Baptist Missionary Society. The project is located at village Joyramkura, under Haluaghat Upazilla, 54km north of Mymensingh district town of Bangladesh. The GBC-CHP mission is to promote health and socio-economic status of the poor, particularly women and children. Sub-projects include: Joyramkura Christian Hospital, a diploma in Nursing Science and Midwifery Course and Community Engagement Graduate Midwives (CEGM). Before starting the journey, we wondered whether this workshop at such a remote area will be successful, and whether the people living in that area would accept us. However, after conducting the program, our thought has completely been changed. They accepted us cordially and enjoyed the workshop beyond our expectations. Participation of GBC-CHP in this workshop was excellent. Around 40 participants GBC-CHP attended. Among the participants were: two doctors (one Bangladeshi and one Japanese), nurses, and students of the Diploma in Nursing Institute and Midwifery project. They enjoyed the workshop – participating enthusiastically – and expressed their gratitude for the training. Participants reported learning new things about palliative care. The term itself and issues surrounding palliative care were very new for majority of participants, as very few senior nurses and doctors have training in this area of medicine. At GBC-CHP Hospital, they do not regularly prescribe morphine. Through this workshop, participants have learnt more about morphine dosing and also the importance of documentation and assessment of pain. There was also a role-play regarding communication, played by the three nursing students of the midwifery project. We were surprised to see their role play. It was an amazing live role play we had ever seen. The last topic “Bereavement support” was very new matter for them. Overall, it was very informative and beneficial workshop for all participants. As organisers, we were overwhelmed with joy to observe their enthusiasm and active participation. They requested more workshop in the near future. Dr Shahinur Kabir talked with Dr Tapos Rema, Medical Superintendent and Dr Ruth Lucy Darling, Consultant of GBC-CHP hospital. After a short meeting, both parties decided to arrange another workshop in early 2019. When Dr Kabir visited the hospital there were admitted four palliative patients at the cabin and ward. He talked with the patient’s family members and doctors. As organiser we expressed our expectation to them after the workshop was to provide palliative care to their patients who need it. Ms. Jobaida Akhter, Senior Staff Nurse, CPC. From the GBC-CHP management, Mr Paul Suresh Bonwary, Program Director and Project Manager supported us to organise the workshop. Principal of Nursing Institute Ms. Pear Lina Ritchil attended the workshop and expressed her gratitude to organise such workshop and expect more workshop in future. Ms Asia Akhter, senior instructor of midwifery project was the point of our contact from beginning to end and she provided full support. Hospice Bangaldesh expressed heartiest gratitude and thanks to all member and participants of GBC-CHP. We were happy to organise it and delighted to enjoy their hospitality. 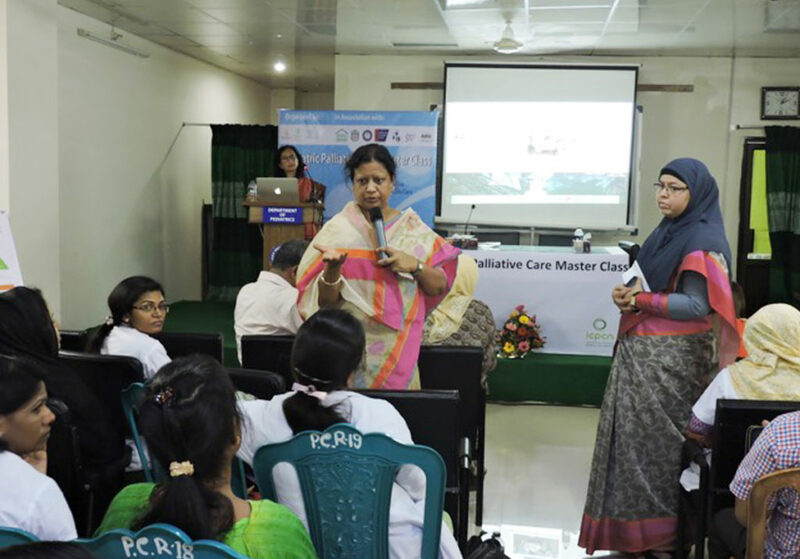 We hope that this workshop will help to promote palliative care in remote areas in Bangladesh. 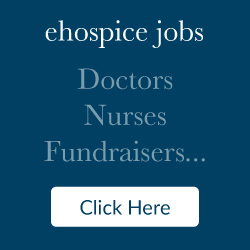 Find out more about Hospice Bangladesh on their website.